Product Ship Weight: 25 lbs. Product Ship Weight: 73 lbs. 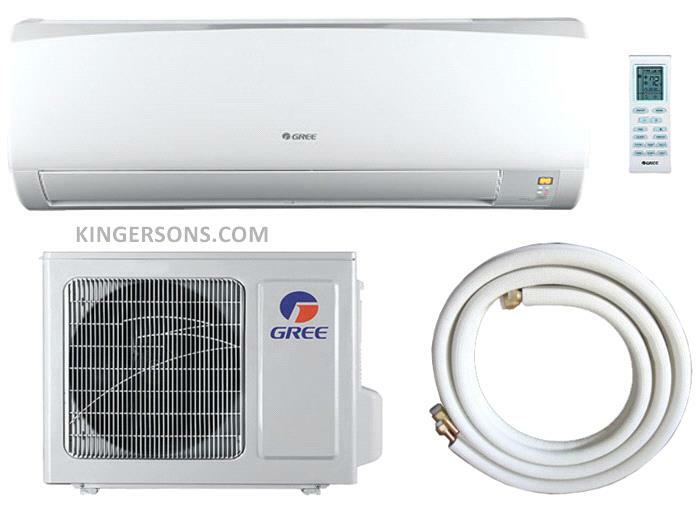 Gree Ductless air conditioner products promote a green earth while always keeping a step ahead of the ductless air conditioner market by offering the superior technologies. The RIO ductless air conditioner is a high-efficiency, cost-effective DC inverter-driven ductless split heat pump system. Distinguished by its compact and quiet design, the RIO ductless air conditioner sustains significant energy savings with its intelligent defrost and heating capabilities and a low voltage start-up feature. The advanced inverter technology and Comfortable Sleep Mode function allow the RIO ductless air conditioner to operate at a whisper-quiet volume and maintain steady temperature cycles for maximum comfort. Combined with a low ambient cooling feature, multiple fan speeds and intelligent pre-heating, the RIO ductless air conditioner achieves 16 SEER. Never compromising the price of innovative efficiency, the RIO guarantees to significantly reduce energy loss and your utility bill.